Though still in pre-production mode, Matt Reeves is slowly putting together his upcoming movie, Dawn of the Planet of the Apes. Today, he’s nabbed Jason Clarke for the film, who gave a memorable performance playing the unmerciful CIA operative in Zero Dark Thirty. Set fifteen years after what happens in the prequel, Dawn of the Planet of the Apes follows a group of scientists trying to survive after the population has dwindled due to the virus that was unleashed in Rise of the Planet of the Apes. Clarke will most likely be playing one of the scientists, but that is unconfirmed as of now. The storyline also sees the highly intelligent ape, Caesar (portrayed by Andy Serkis) struggling to maintain his position as the king of the apes. Dawn of the Planet of the Apes had a rocky start when Rupert Wyatt, who helmed the previous movie, announced that he wasn’t going to be involved with it, due to his busy schedule. So Matt Reeves, director of Cloverfield and Let Me In had to take up the torch and run with it. And so far he seems to be on the right track, especially with Clarke as one of the movie’s stars. Jason Clarke has been around for a while, starring in movies like Death Race, Public Enemies, Wall Street: Money Never Sleeps and Lawless before his role in Zero Dark Thirty, but Dawn of the Planet of the Apes will certainly put the spotlight on the Australian actor. However, before we get to see Clarke in the anticipated sequel, he will be playing a major character, George Wilson in Baz Luhrmann’s adaptation of The Great Gatsby and performing in movies such as White House Down, The Green Blade Rises and Mojave. With a script written by Mark Bomback who is also penning The Wolverine, Dawn of the Planet of the Apes will invade theatres on May 23rd, 2014. 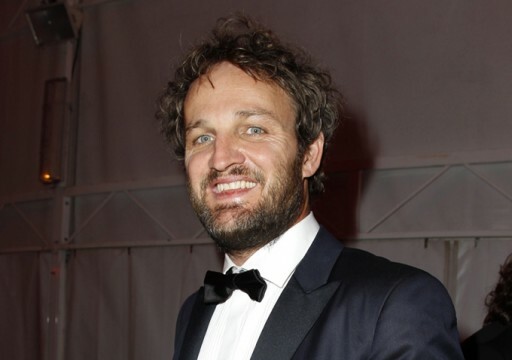 What do you think about Jason Clarke starring in the movie? Let us know in the comments below.